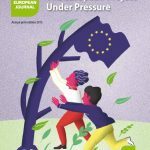 Green European Journal: Joschka Fischer, former Foreign Minister of Germany, has said not so long ago that the essence of the internal crisis of Europe is one of solidarity. Without European solidarity, the European idea will not be able to last. Would you agree with that? Ska Keller: I absolutely agree that without solidarity there wouldn’t be much left of Europe, or at least nothing that we can call, “European”. But unfortunately, at the moment solidarity is lacking in the European debate. We have the Greek crisis, where the lack of solidarity with Greece is leading Europe to a really severe problem, as the troubles of the eurozone are also troubles for all of Europe. Forcing Greece to leave the eurozone would be a very dangerous precedent. But similarly, in the case of the current refugee crisis, in which thousands of people are dying while trying to escape wars or extreme poverty in their home countries, there is not much sign of solidarity. What are the member states doing? They point fingers at each other. They cannot agree on the relocation quotas; instead, states are talking about voluntary solidarity, a kind of solidarity that cannot work. But we need solidarity in Europe to survive this. Mar Garcia Sanz: I completely subscribe to what Fisher said. I think the concept of solidarity is threatened, and it’s threatened by austerity policies, by the neoliberal approach of constructing Europe. It’s a mistake. If you conceive of Europe exclusively as an economic project you’re just having in mind one aspect of many. Europe is a complex thing; it’s the home of hundreds of millions of people, and it is about much more than just economic gains. Solidarity is one of the key issues that brings them together. 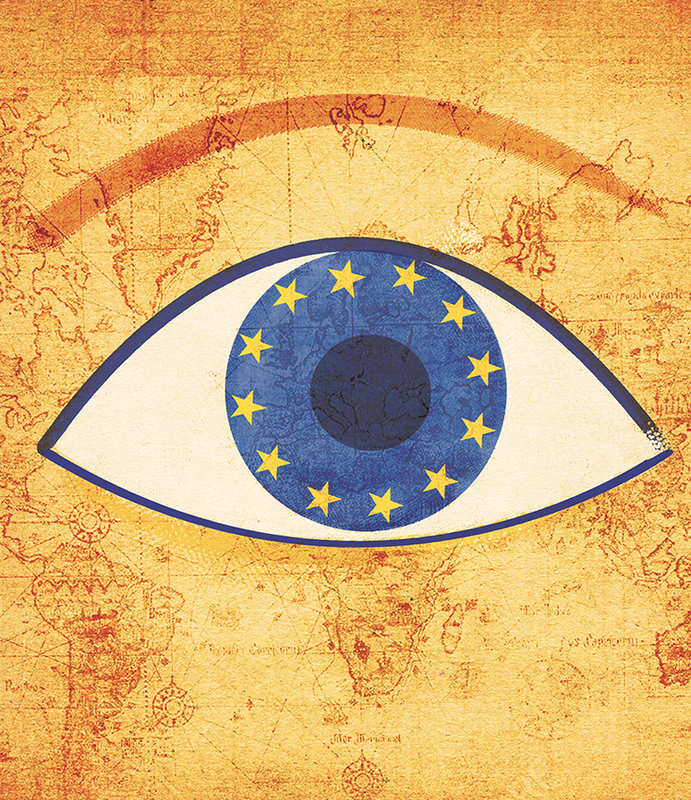 Have Europe’s politicians always been so arrogant? Or is this just a recent phenomenon? SK: I haven’t always been around, but I believe that the kind of arrogance we see now is a nationalistic sort of arrogance: everyone thinks, “I did everything right, it’s the others who are to blame.” That’s both what we see in the case of Greece and in the migrant issue. It’s always a blame game, and this game is the opposite of solidarity. MGS: I believe that arrogance is part of human nature, but it shouldn’t be the driving force. Unfortunately, in the construction of today’s Europe we have too much of this sentiment. This is a question of maturity and of our set of values; these determine how arrogantly we behave. This current sentiment is driven by the fact that in the construction of Europe there has been too much egocentrism, and there has been a lack of perspective for a European interest. It’s quite obvious that austerity programmes have failed, but countries like Germany are still unwilling to reevaluate their stances and allow member states to find an alternative way out of the crisis. Why? SK: Because they would also need to admit that they have failed. If they would change their view on austerity that would change the fundamental ideology of the current German government. At the moment they are still saying that the only reason austerity hasn’t worked is that the countries undergoing austerity haven’t implemented enough of the proposed policies. Also, there are countries that have already implemented lots of cuts, and once there would be a change of policy they would start complaining, “we had to do it, so why are others exempted from it?” So, that’s another question of solidarity: instead of saying, “we did it, and we’ve seen how stupid it is” they insist on making others undergo the same painful procedure they did. All member states are looking for their own national gains, and that’s at the core of their behaviour. MGS: I think this also depends on the kind of ideology that can be found behind the decisions that are taken in the EU, and in my point of view, Germany has unfortunately won the cultural battle. This means that they are communicating the following: “Those people in certain parts of Europe were not doing anything apart from partying, and we were the ones paying their expenses. But we don’t want to continue doing that anymore.” I think this is a cultural issue, and I think it’s a challenge to go beyond this mainstream cultural perspective. The current government of Germany needs to rethink whether it would be possible to judge the problems of Europe according to a different logic. Not only the national logic, but the whole European logic needs to be revamped in order to change this cultural framework. The Greens are there in the European Parliament, they are raising their voice, they are trying their best, but it’s really difficult to act in a framework in which there is almost no way to deal with the issue differently. SK: I would not call this attitude “culture”. I am German as well, and this is not how I see things. It’s more of an ideology. MGS: I call it culture, because there is an aspect of this narrative that points at groups of people – people of a different “culture”, and says that these people have a different mentality towards life. But this is not something unique to Germany: we can even see this in Spain, when it comes to judging the Catalans, for example. Merkel and the CDU are important in this issue because they have won the battle of framing the issue in a certain way, and this way involves pointing at people and their specific cultures. In an op-ed, Yanis Varoufakis, the former Greek Minister of Finance has asked for a “Speech of Hope” to be held by Angela Merkel in Greece, in order to “hint at a new approach to European integration”. Would you agree that Germany has additional responsibilities in this process? SK: Merkel has never even managed to hold a speech of hope for Germans, so I am not sure she would be able to hold a speech of hope for the Greeks. But indeed, Varoufakis touches on an important point. Merkel has the final say in German politics, and in German politics the mainstream mindset is focused on austerity at the moment. We need to acknowledge that whatever decisions we make at a national or a European level will always affect others. We need to find a way to make people accountable. But this issue of the speech goes both ways. Tsipras could also go to Germany and explain to the parliament why the Greeks need more guarantees. The European Parliament should also play a more active role in dealing with these issues, because in the European Parliament we have a large number of different opinions, from all member countries, and all political formations, and it could be the perfect place discuss the issue. But instead, in the case of Greece we see that the big parties are just blocking the debate. The European Parliament could be a place where you can discuss the issue of Greece beyond national points of views, but this aspect is underused at the moment. Just imagine what could happen if Merkel and Tsipras came here and presented their views. MGS: I agree on that point. Giving a speech would be a symbol, but from my point of view the real value is in acting. I think it’s really important to frame this problem in a different way, different from the national one. That’s maybe even more important than visiting each other’s countries. And the Parliament would provide a perfect framework for that. With the kind of strong rhetoric we hear from Tsipras or his former finance minister Varoufakis, do you think there is a strong challenge to the austerity doctrine dominating Europe? Or do you think these voices are still marginal in the political discourse? MGS: I think Tsipras and Syriza won the election with a clear mandate against austerity, and I hope that the majority-choice of the citizens and of those in political roles are going to play a role when it comes to tackling austerity. We have elections this year in Spain, and we hope that there will be a similarly strong anti-austerity vote. It’s so bad that France and Italy could have played an important role in strengthening this anti-austerity attitude in Europe, but they did not, in the end. SK: The anti-austerity voice is there, it’s quite loud, and the outcome of the current situation in Greece will determine a lot. It depends on this outcome whether it will fail or whether it will become stronger. I think at the moment one cannot see which way it will go. Not to mention that there is also the question of what the, “anti” in anti-austerity means. MGS: But I think it’s important to add that, besides Syriza and Podemos, we as Greens are also calling for a different policy and an alternative to austerity. I hope that we can grow in the future, and thereby make the anti-austerity voice louder. Sigmar Gabriel, Vice-Chancellor of Germany and Emmanuel Macron, the French Minister of Economy penned an opinion piece for the Guardian in which they argued for stronger integration and a union of solidarity and differentiation which needs to be achieved through French and German leadership. “France and Germany have the responsibility to lead the way, because Europe cannot wait any longer” – they write. Would you agree that whatever happens in Europe needs to be based on French and German leadership? SK: I personally don’t agree with that. We are a union of 28, and all the member states need to have their voice. It’s good when there are initiatives and impulses for member states, so I don’t mind if France and Germany say, “Look, we have an idea, and we want to propose something to you” but that shouldn’t be about all the member states having to do what Germany and France come up with. All member states need to have an equal role to play and an equal voice to speak. MGS: I wouldn’t mind leadership. Germany and France are big countries that can really make a difference. But of course this shouldn’t be the kind of leadership that imposes something on the member states, but an inclusive one that takes into account the interests of all 28 countries. Unfortunately, this is not the kind of leadership they are showing now. Today, the way they act is very unilateral. The only good leadership is the one that addresses the problems and considers the needs of member states. We have spoken about the anti-austerity parties in the South of Europe. These parties are supported by popular mobilisations, and I wonder how you see this in Spain and in other countries where these movements have gained momentum. Can they promote more solidarity in Europe? MGS: Obviously in the South the crisis is not only an economic but a systemic crisis, too. It’s also political in nature, and has led to a social crisis. From my point of view these movements are an expression of the citizens’ will. People want the current political elites to stop what they are doing. “Basta, we’re sick of it!” And now, in the South, we are seeing things that we would have never imagined. The last local election was a result of that change. A number of citizen candidates have gone to the institutions and started dealing with political issues. In the South these refer to the deficits of the political system that were not tackled in the last 30 years. The political system has allowed the corruption to strive, and the situation was just unbearable, and now something has started. It is really an answer to a model of governance that hasn’t worked. SK: I share the enthusiasm, but it is also important to ask whether these movements will stay on the local or national level, or whether they will emerge and turn into a European movement. Today a European dimension to these movements is still lacking. In this issue of the journal MEP Philippe Lamberts, concerning the issue of the disillusioned people of Greece and Spain, expresses his anger that it was the radical left and not the Greens who have managed to reap the benefits from these people turning their back on the centre-left and centre-right parties. MGS: I think it’s a problem that we, as Greens, were not able to read between the lines. And now I think that we Greens need to sit down and think about changing the narrative. We were not able to identify the problems at that time or at least to communicate effectively what our answers would have been to them. But I also have to say that those movements that are now crystalising in the South as political parties are not that far away from what we are demanding. Sometimes we are even cautious of calling them “radical left”, because those political parties are really the expressions of the will of the people. The reason why the Greens couldn’t become this expression is because we were not ambitious enough. What do I mean by this? In the narratives of the radical left parties you can hear that they want to win, they want to govern. While we Greens were dreaming of a 10 percent share of the votes; and we didn’t show the kind of leadership that is necessary for people to follow us. SK: We could have achieved more, but it’s not that easy. We can never be as populist as others, and that is both our strength and weakness. Also, the Greens, compared to Syriza and Podemos, don’t have the image of being very new. We Greens have been here for more than three decades, which is nice because people know who we are, but it doesn’t allow us to have the kind of new image that Syriza or Podemos do. To overcome this, we need to be closer to the grassroots movements. I am not saying that we need to forget about the normal NGOs but we need to go to the grassroots, to see where the movements are happening.